Thank you to everyone who joined us May 18 for the 24th annual FORE the Children golf tournament at Bear Creek Golf Club! The game was completely sold out with 144 golfers on 36 teams. It was a little rainy, but that did not dampen anyone’s enthusiasm. Most of the golfers seemed to laugh at the rain, as if it were part of the game. Fred Bird kicked off the event, clowning around at the clubhouse with the golfers and the tournament’s honorary chairwoman, Stacia Peterson. Our new facility dog, Chip, toured the course in a golf cart with Jessica and Miranda from The Yuppy Puppy pet spa. A Chevy Camaro from Johnny Londoff Chevrolet would have gone to the first golfer who made a hole-in-one at Hole 16. Two golfers came close, landing the ball within a few feet of the hole, but nobody won the car. 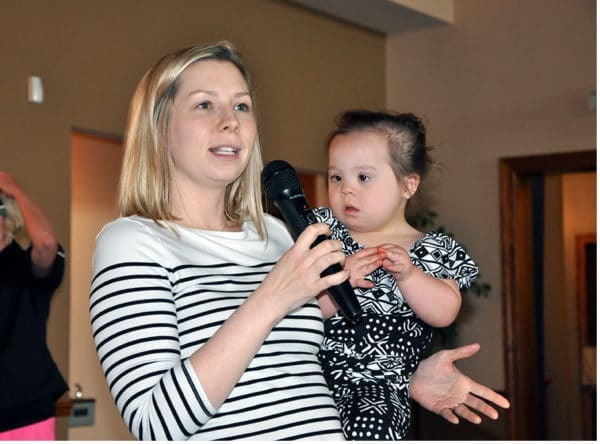 After the game, golfers returned to the clubhouse to hear Malori Nguyen talk about how United Services has helped her daughter, Lucy, who has Down syndrome. There was not a dry eye in the house. 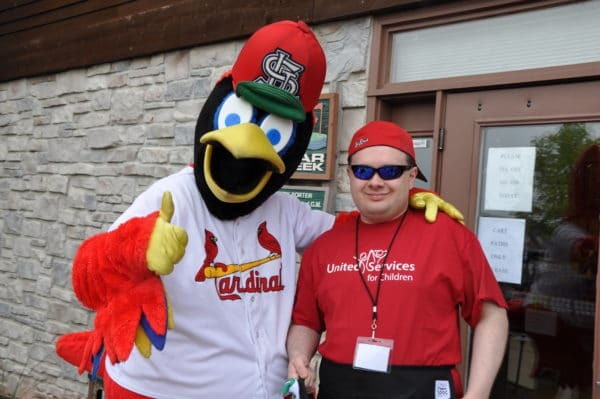 We celebrated the recent college graduation of “raffle king” Charlie Tucker, who attended United Services as a child. We have watched Charlie grow up, and we are all very proud of his accomplishments. The day ended with an awards presentation, but the biggest winners are the children who will benefit from the tournament’s proceeds. United Services will use all money raised to help children of all abilities reach their full potential! Thank you to everyone who served on the event committee or volunteered to help last Friday! Thank you to all the golfers and foursome organizers! And thank you to our generous sponsors! All of you made this event a success!